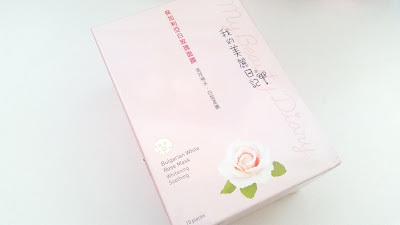 This will be the last My Beauty Diary sheet mask review for a while. Both of us going though some other masks from other brands, so you guys will see more of those. If there is a My Beauty Diary (MBD) mask you would like either one of us or both of us to review, feel free to let us know in the comments below. 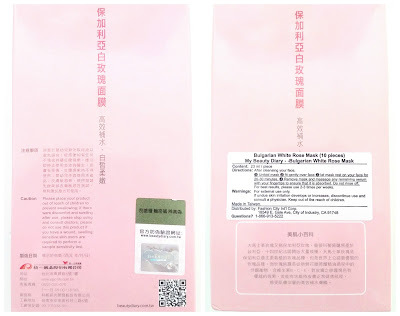 Anyways, Michelle here today with a review of the My Beauty Diary Bulgarian White Rose sheet masks. MBD masks are quite popular due to their inexpensive prices and decent to great mask formulations. I don't think every MBD mask is super wonderful but some of them do perform better than expected. There are also quite a few MBD masks that I personally love as well. These Bulgarian White Rose masks unfortunately doesn't fall into that category but they are still pretty good. Let's get to know them! Product Description: Formulated with Bulgarian white roses, cucumber and kiwi extracts, these MBD masks provide hydration while soothing and refreshing the skin. The sheet masks also includes ingredients such as aloe, seaweed, and plant collagen to nourish and soften the complexion which restores dull, lusterless skin to its healthy complexion. These masks can also brighten the skin to enhance the skin's complexion. To Use: Cleanse and tone the skin first. Apply the mask onto the face and leave it on for 20 to 30 minutes. Remove the mask and pat in any remaining essences. 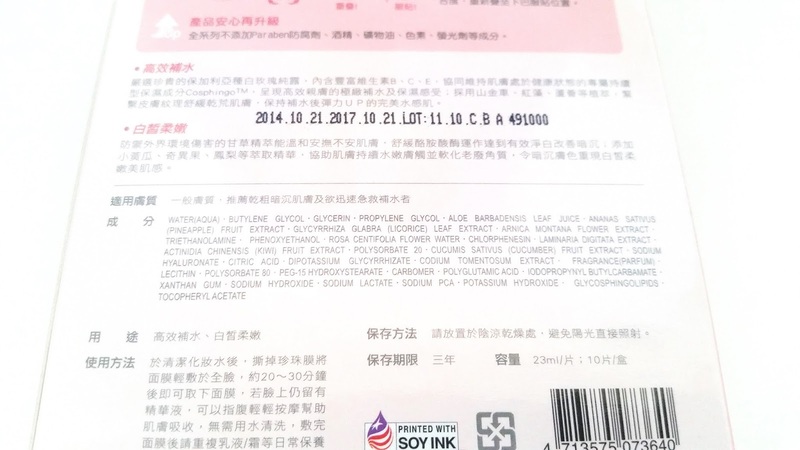 Ingredients: Water, butylene glycol, glycrin, propylene glycol, aloe barbadensis leaf juice, ananas sativus (pineapple) fruit extract, glycyrrhiza glabra (licorice) leaf extract, arnica montana flower extract, triethanolamine, phenoxyethanol, rosa centifolia flower water, chlorphenesin, laminaria digitata extract, actinidia chinensis (kiwi) fruit extract, polysorbate 20, cucumis sativus ( cucumber) fruit extract, sodium hyaluronate, citric acid, dipotassium glycyrrhizate, codium tomentosum extract, fragrance, lecithin, polysorbate 80, PEG-15 hydroxystearate, carbomer, polyglutamic acid, iodopropynyl butylcarbamate, xanthan gum, sodium hydroxide, sodium lactate, sodium PCA, potassium hydroxide, glycosphingolipids, tocopheryl acetate. Scent: If you are a fan of rose scented masks, you'll probably love these. These sheet masks definitely have rose floral scents and the scent can be strong. If you are sensitive to scents, you probably want to skip these. Please note that the scent of Bulgarian White Rose Masks can vary in strength. Some boxes might have masks with stronger scents, while others lighter. Color: The sheet mask material is white in color. The essence is clear. Texture: The sheet mask is soft and easily tear-able. 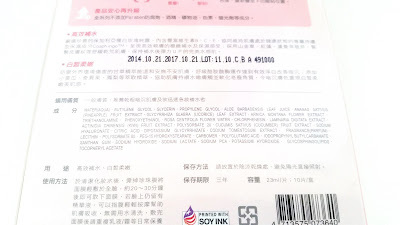 The sheet mask essence is liquidy. Michelle's Thoughts: I've always had mixed feelings about these masks. I like them but there are a few things here and there that always blocks me from loving them. The main downside for me, believe it or not, is its scent. I love rose scents. Like really love rose scents. However, these rose masks can have scents that's quite nose piercing. I say 'can' because I've found that the masks' scent various. Some boxes have Bulgarian White Rose Masks with stronger scents, while others have lighter scents. I much prefer the not so nose piercing scented masks than the nose piercing ones. This is my most recent box of Bulgarian White Rose Masks and the scent was on the strong side. The other downsides are the usual awkward fit and cut. This is an issue I have with all MBD masks I've tried so far. On to the goods. This mask promotes brightening and soothing effects, and it does a decent job with both. I definitely love the soothing effects, but I found the brightening effects aren't as effective as some other brightening masks. However, given the price of these Bulgarian White Rose Masks, I think it's effects are pretty good for its price. The sheet masks also nourish, hydrate, and soften the skin quite nicely as well. They always leave my skin feeling soft after each use. As you can see, I like to tear the sheet mask to make it fit better. 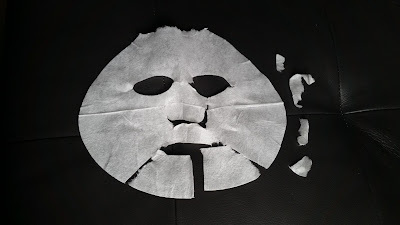 The small pieces were teared off from certain areas of the mask and used on other areas of the face. Final Thoughts: The My Beauty Diary Bulgarian White Rose Masks are pretty decent. Not perfect, but pretty good for its price. There's a few things here and there that I'm not a fan of, but overall the masks are pretty good. I really like the hydrating, softening, and soothing effects it offers. Would I repurchase it again in the future? That's debatable. On the one hand I want to for its nice effects and inexpensive price. On the other hand, I'm afraid that I'll get another box with nose piercing scents, since the level of their scents are so unpredictable. Do I think these are worth a try? Possibly. 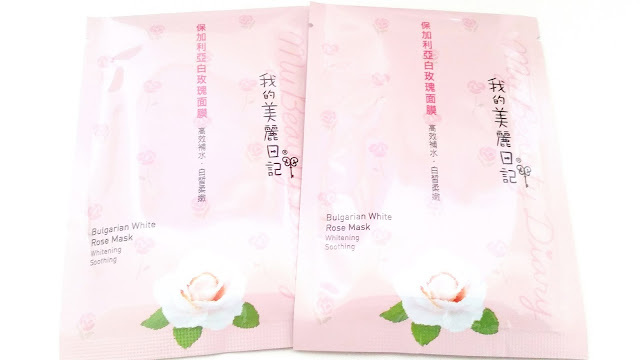 If you love rose scents and like the skincare effects these My Beauty Diary Bulgarian White Rose Masks offers, then definitely give them a try.